The Division of Boating and Waterways (DBW) invites the public to become volunteers and help keep California’s rivers, lakes and ocean clean by becoming Dockwalkers. Native clams, once so abundant in the bay, actually eat red tide. Each clam is a workhorse, filtering over 10 gallons of water per day for 30 years or more. Tampa Bay Watch seeks 5-10 volunteers for our Fourth Annual Skyway Cleanup on February 13 meeting at Fort De Soto Park at 9am. Each February for 17 years, countless volunteers spend 10 days on the water along the Texas coastline searching the bays for abandoned crab traps left to foul shrimpers’ nets, snag anglers’ lines, “ghost fish,” and create unsightly views. A group of scientists, led by Dr. Larry Crowder from the Hopkins Marine Station at Stanford University, catch, tag and release fish to better understand and manage ocean pelagics like sailfish and marlin. Over a five year period, the AOTTP aims to partner with scientists and commercial and recreational tuna fishermen to tag at least 120,000 tropical tuna with conventional and/or electronic tags throughout the Atlantic. A new proposed recovery plan for Puget Sound steelhead highlights culverts and other threats, and outlines a roadmap for recovery of the native fish into a self-sustaining population and resume their place as a keystone of Puget Sound’s marine environment. NOAA is seeking proposals from non-federal partners for habitat restoration projects that will restore coastal ecosystems. More than 1,500 responded to the survey – exceeding the association’s projections – which will play an important role in shaping NMMA’s policy priorities in the coming year. The 92nd annual OWAA conference is a terrific opportunity for outdoor communicators and outdoor groups, businesses and agencies, to network with other professionals, build crucial business relationships and enhance their skills. Bullet Weights® congratulates Nick Thliveros on winning the Costa FLW Series 2019 season opener for the Southeast Division on Lake Okeechobee in Florida. With the Bassmaster Elite Series getting underway this week, the first cast will be made on very familiar waters. B.A.S.S. has visited the St. Johns River four times in the past eight years, and AFTCO freshwater pro team member Clifford Pirch has been in the field for two of those events. 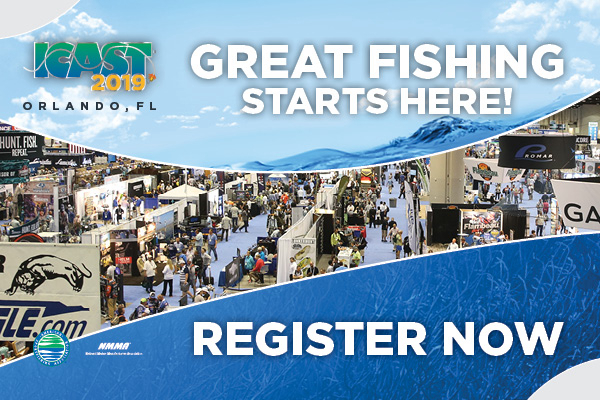 All of 2019’s newest gadgets and tools – along with dream destinations – that make fly fishing the sport it is will be on display for the first time in the Pacific Northwest at the seventh annual Lynnwood Fly Fishing Show, Feb. 16-17 in the Lynnwood Convention Center, 3711 196th St. S.W. Highlights of the new guide will include: 2019 free fishing weekends, 2018 Fish of the Year and State Record Fish, new public access sites, an overview of largemouth bass and an overview of the Lake Michigan salmonid program. Dan Eichinger, 38, was named Director of Michigan's Department of Natural Resources in late December, and took office Jan. 2 as the youngest ever to hold the job. Louisiana Department of Wildlife and Fisheries (LDWF) enforcement agents, St. Bernard Parish Sheriff’s Office deputies and U.S. Coast Guard personnel recovered the deceased body of a Prairieville man from Lena Lagoon in St. Bernard Parish on Feb. 7. The South Carolina Department of Natural Resources (SCDNR) is stocking thousands of catchable-sized rainbow trout (8 to 11 inches) and smaller brown trout (4 to 6 inches) from the Walhalla State Fish Hatchery in Oconee County into the lower Saluda River near Columbia. Now with the free mazu SportFishing app, anglers can view and download their ROFFS fishing forecast hot spots while offshore. 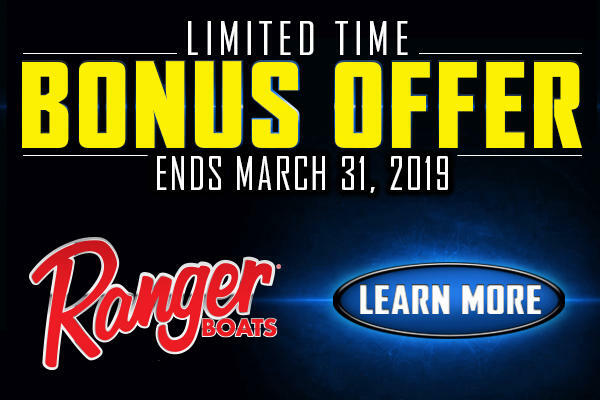 Lake Powell is Centerstage with Country Star Lee Brice on "Chasin' the Sun"
This weekend on Discovery Channel, you’re not going to want to miss new programming from Addictive Fishing, Chasin The Sun, Sportfishing Television, Sportsman Adventures and more. Cookeville-Putnam County Visitors’ Bureau, along with USA Bass and Pan-American Sportfishing Federation, announced today that Cookeville will serve as home to the inaugural Pan-American Kayak Bass Championship, May 28 - 31, 2019. The Yellowfin/Tailwalker Marine Cape Lookout Shootout presented by Yamaha, and Nationwide is coming to Little River, South Carolina. Yesterday, Congresswoman Lois Frankel (D-FL-21) and Congressman Austin Scott (R-GA-08), members of the Congressional Boating Caucus, reintroduced bipartisan legislation to more clearly define and label E15 ethanol blended gasoline at pumps. As the days shorten and get colder, our thoughts shift from outdoor activities to spending time indoors with friends and family. When it’s time to snuggle up by the fire, many of us might think it’s also time to put stream monitoring and the Clean Water Challenge on hold until spring. But there is still work to be done, even when the temperature drops. Although we typically suggest biological stream monitoring (finding macroinvertebrates) in the fall and spring, we should not forget about water quality during the summer and winter months. Each season presents specific threats to stream health. In winter, road salt can cause serious damage to water quality. That's why the League created the Winter Salt Watch campaign – to help volunteers like you measure salt (sodium chloride) levels in local streams and alert local agencies when they spot a problem. How exactly does road salt work – and how did we get to using up to 20 million tons of it every year? Road salt was first used in New Hampshire in 1941 – and its use quickly snowballed. As automobile accidents decreased in New Hampshire, other snow-covered states took notice and began using road salt. In the 1950s, the U.S. highway system began a rapid expansion, and the increased mileage of roadways required even more road salt. It wasn’t until the 1970s that Americans began to realize the harmful effects of road salt on nearby lands and waters. Cities began to be more mindful of salt usage, but ultimately we were hooked and there was no easy alternative. Over the past two decades, some cities have looked into using salt alternatives, but other de-icers have failed to gain traction due to cost concerns. Today, we use 10 to 20 million tons of road salt every year, depending on the length and severity of winter weather. The majority of the road salt we use comes from salt mines across the country (the same salt that is ground up for use on your dinner table). It is difficult to know when these salt supplies will run out, but it is certainly much cheaper to use domestic salt – on both our roads and our tables – than to import it from other major salt producers such as China. Salt has the ability to both raise the boiling point of water and lower its freezing point. Fresh water will freeze at 32 degrees Fahrenheit. Salt water will resist freezing to about 15 degrees Fahrenheit. However, road salt does not start working until it has dissolved into a liquid, so new technologies include applying a salt solution or pre-wetted salt to allow it to start working immediately. Other elements, such as calcium chloride, can drop the freezing point of water much lower than 15 degrees. However, they are typically not used on roadways because they cost twice as much as rock salt. When road salt is used to melt ice, it eventually runs off into the soil near the road. When winter is over, spring rains flush this salt into our streams, rivers, and lakes. This is a slow process. Even if we quit using road salt today, the salt already in the ground can persist for decades, and the salt content in our streams will rise as salt continues to percolate through the soil. I frequently used chloride test strips with children during Creek Freaks stream monitoring events. After the kids figured out that chloride gets in the water through salt (sodium chloride), they sometimes asked if that is normal or if the fish can just live with salty water like they do in the ocean. Unfortunately, most freshwater fish cannot adapt to salt in the water. Salt can also be harmful to the aquatic macroinvertebrates that we look for during stream monitoring – these freshwater bugs can only tolerate so much salt before the stream becomes uninhabitable. We all know that fast food and convenience munchies are often laden with salt. But did you know that we use more than 10 times the amount of salt on our roads than is used in all American food processing each year? Doctors have become increasingly concerned that as road salt infiltrates our drinking water supplies, it can cause problems for people with high blood pressure because water treatment plants cannot remove all the extra sodium. Road salt can hurt your wallet too. Rust damage due to road salt can shorten the life of your car (and drop the resale value). Road salt and its application cost the U.S. some $2.3 billion a year – much of that paid through your tax dollars! 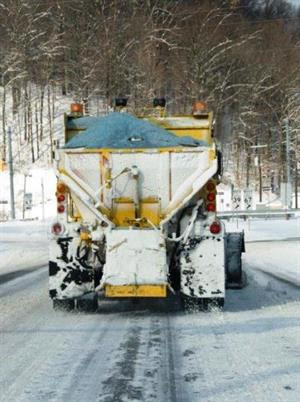 One study in Ohio found that the state uses 176 pounds of road salt per person each year. Traveling safely is important to us all. However, we need to ensure efforts to keep our roads safe do not destroy water quality in the process. It’s easy to check how much salt is in your local stream using chloride test strips, which provide an instant reading – and you can get a FREE chloride test kit from the Izaak Walton League! Sign up for your free kit and start collecting data now to get a long-term look at chloride levels and the health of your local streams. Tampa Bay to support military veterans’ organizations, $25 entry; www.mywarriorsplace.org/fishing-tournament. Agricenter, East Memphis, TN www.memphisboatshow.com. Lynnwood Convention Center, 3711 196 th St. S.W., Lynnwood, Wash.; www.flyfishingshow.com. 4501 Pleasanton Ave., Pleasanton, Calif.; www.flyfishingshow.com.